Not to be confused with Silent Hill. Silent Hills was a survival horror video game being developed by Kojima Productions and to be published by Konami for the PlayStation 4. It was to be the ninth main installment in the Silent Hill series, and was being directed by Hideo Kojima and Guillermo del Toro. Title logo as seen in P.T. Kojima was brought onto the project in September 2012 by Konami; the game was announced in August 2014 via P.T., short for Playable Teaser, a critically acclaimed demo that was released as a free download from the PlayStation Store. P.T. 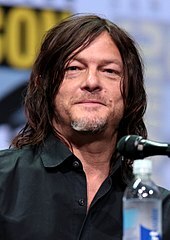 revealed the involvement of Del Toro, along with Norman Reedus as the voice and appearance of its protagonist. The game's development was questioned due to rumors surrounding Kojima's work with the completion of Metal Gear Solid V: The Phantom Pain, and his eventual exit from Konami. In April 2015, reports surfaced from del Toro that Silent Hills had been cancelled, with Konami officially confirming the cancellation shortly after, a move which was negatively received by critics and fans of the franchise. Kojima, del Toro, and Reedus eventually had reunited for Death Stranding. In September 2012, Konami's president asked Hideo Kojima to direct the next Silent Hill installment. He accepted the offer with enthusiasm, and development began shortly thereafter, using Kojima Productions' Fox Engine. In the past I've mentioned Silent Hill in interviews, and as a result of that the president of Konami rung me up and said he'd like me to make the next Silent Hill. Honestly, I'm kind of a scaredy-cat when it comes to horror movies, so I'm not confident I can do it. At the same time, there's a certain type of horror that only people who are scared of can create, so maybe it's something I can do. That said, I think Silent Hill has a certain atmosphere. I think it has to continue, and I'd love to help it continue, and if I can help by supervising or lending the technology of the Fox Engine, then I'd love to participate in that respect. An interactive teaser for Silent Hills was released on August 12, 2014 as P.T. (Playable Teaser), marketed as a demo for a horror game by the non-existent 7780s Studio. Published on the PlayStation Network for the PlayStation 4 as a free download, P.T. uses a first-person perspective, in contrast to the usual third-person perspective often found in the Silent Hill series, and centers on an unknown protagonist who awakens in a supposedly haunted house and experiences supernatural occurrences; the only actions available are walking and zooming as the player character explores the continuously looping corridor. After the player solves the final puzzle, a trailer reveals that it is a "playable teaser" for a new Silent Hill title being directed by Hideo Kojima and Guillermo del Toro, with the protagonist portrayed by Norman Reedus. On 1 September 2014, Sony revealed during its pre-Tokyo Game Show press conference that P.T. has been downloaded over a million times. P.T. received praise from video game journalists. GamesRadar's David Houghton praised it as well-executed, immersive horror and wrote: "By spreading out into the real world, by forcing solutions by way of hearsay, internet whispers, and desperate, rumoured logic, it has become its own urban myth." IGN's Marty Sliva ranked it as an honorable mention on his list of the best video game trailers for 2014, and another reviewer for IGN, Lucy O'Brien, described the game as "the most genuinely frightening interactive experience in recent years." Giant Bomb gave the Best Horror Game award to P.T. in 2014. P.T. won "Scariest Game" at Bloody Disgusting's FEAR Awards. In March 2015, sources reported that due to conflicts with Konami, Kojima and his senior staff planned to leave Konami following the completion of Metal Gear Solid V: The Phantom Pain. Concurrently, Konami announced a restructuring of its video game business, and removed references to Kojima and Kojima Productions from the promotional materials for its games. A Konami spokesperson initially denied that Kojima was leaving the company, and stated that he would still be involved with Konami and the Metal Gear franchise. At a San Francisco Film Society event on April 26, 2015, assistant director Guillermo del Toro reportedly told attendees that Silent Hills had been cancelled. The next day, Norman Reedus also made statements on Twitter stating that the game had been cancelled. The same day, Konami announced that P.T. would be pulled from the PlayStation Store on April 29, 2015, and Polygon reported that an anonymous tip by a person familiar with the game's development had also confirmed the game's cancellation. On April 27, 2015, Konami issued a statement to Kotaku confirming that Silent Hills "would not be continued", but that they planned to continue the Silent Hill franchise. Fans upset by the cancellation later started a petition on Change.org asking for Konami to continue the project; as of 4 March 2016[update], the petition has received 194,279 signatures. In a tweet from Guillermo del Toro, he revealed that horror manga artist Junji Ito would also have been involved with the project. Cliff Bleszinski was also asked to work on the project, but declined, later explaining on Twitter: "I don't like LA, I love new IP, and I woulda fucked up SH". During Sony Interactive Entertainment's E3 2016 press conference, the reformed Kojima Productions unveiled a new game, Death Stranding, which also features Reedus and del Toro. On July 4, 2018 Simon "Qimsar" Cromwell, a 17-year-old developer and fan of P.T., remade the playable trailer for the PC and released it for free. On July 13, 2018 Konami called Qimsar asking him to take down the project due to legal issues, a request he complied with. The Konami representative admitted the remake was very popular within the company, and offered Qimsar an internship. ^ "Konami wants Hideo Kojima to make a Silent Hill game". Polygon. September 27, 2012. Retrieved January 30, 2015. ^ Kelly, Andy. "Konami are making a new Silent Hill. Will it come to PC?". PC Gamer. Retrieved 30 January 2015. ^ Robinson, Martin (27 September 2012). "Policenauts, Silent Hill and a Metal Gear JRPG - an audience with Kojima". Eurogamer. Eurogamer Network. Retrieved 29 December 2014. ^ "Gamescom 2014: P.T. Announced for Playstation 4". ign.com. IGN Entertainment. 12 August 2014. Retrieved 29 December 2014. ^ a b Matulef, Jeffrey (13 August 2014). "Hideo Kojima and Guillermo del Toro are making Silent Hills". Eurogamer. Eurogamer Network. Retrieved 29 December 2014. ^ a b Moriarty, Colin (1 September 2014). "PlayStation 4's PT Silent Hills Demo Downloaded 1+ Million Times". ign.com. Retrieved 2 September 2014. ^ IGN staff (24 December 2014). "The Biggest Surprises of 2014". ign.com. IGN Entertainment. Retrieved 29 December 2014. ^ a b O'Brien, Lucy (17 December 2014). "My Game of the Year Wasn't a Game At All". ign.com. IGN Entertainment. Retrieved 29 December 2014. ^ O'Brien, Lucy (13 August 2014). "Hideo Kojima and Guillermo del Toro Are Teaming Up for a New Silent Hill". ign.com. IGN Entertainment. Retrieved 29 December 2014. ^ Houghton, David (27 August 2014). "P.T. is the first REAL horror game in years, and the smartest game on PS4". GamesRadar. Retrieved 6 October 2014. ^ Sliva, Marty (11 December 2014). "The 14 Best Game Trailers of 2014". ign.com. IGN Entertainment. Retrieved 29 December 2014. ^ "Giant Bomb's 2014 Game of the Year Awards: Day Five Text Recap". Giant Bomb. CBS Interactive. December 30, 2014. Retrieved December 31, 2014. ^ "Your Picks for the Best & Worst Horror Games of 2014!". Bloody Disgusting. Bloody Disgusting LLC. January 19, 2015. Retrieved January 16, 2015. ^ "Kojima Expected to Leave Konami After MGS5, Inside Source Confirms". GameSpot. Retrieved 19 March 2015. ^ Farokhmanesh, Megan (19 March 2015). "Metal Gear Solid creator's involvement in series questioned, Konami removes branding". Polygon. Retrieved 19 March 2015. ^ Orland, Kyle (26 April 2015). "Signs points to cancellation for Kojima's Silent Hills". Ars Technica. Retrieved 27 April 2015. ^ Good, Owen S. (26 April 2015). "Major figures mourn Silent Hills as cancellation appears likely". Polygon. Vox Media. Retrieved 27 April 2015. ^ Matulef, Jeffrey (26 April 2015). "P.T. is being pulled from PSN on Wednesday". Eurogamer. Retrieved 27 April 2015. ^ Matulef, Jeffrey (27 April 2015). "Silent Hills is dead, actor Norman Reedus confirms". Eurogamer. Retrieved 27 April 2015. ^ Schreier, Jason (27 April 2015). "It's Official: Silent Hills Is Cancelled". Kotaku. Gawker Media. Retrieved 27 April 2015. ^ "Konami Responds to Silent Hills Cancellation Claims". GameSpot. CBS Interactive. Retrieved 27 April 2015. ^ Duell, Ron (4 May 2015). "Silent Hills petition lands 88,000 signatures asking Konami to continue development". TechnoBuffalo. Retrieved 9 May 2015. ^ McWhertor, Michael (27 September 2015). "Silent Hills had another awesome creative talent: horror manga master Junji Ito". Polygon. Vox Media. Archived from the original on 27 September 2015. Retrieved 27 September 2015. ^ Davey, Jamie (February 11, 2016). "Cliff Bleszinski declined Kojima request to help on Silent Hills, "I woulda ****** up SH"". GameWatcher. Retrieved February 14, 2016. ^ "Kojima Reveals New PS4 Project, Death Stranding". GameSpot. Retrieved 14 June 2016. ^ Frank, Allegra. P.T. PC remake is playable, perfectly scary Polygon. Retrieved on July 20, 2018. ^ Good, Owen. Fan remake of P.T. on PC gets shut down by Konami. Polygon. Retrieved on July 20, 2018.